“Open Science, Open Innovation, Open to the World.” European Commissioner Moedas’ statement   emphasises the importance and potential of open science for Europe and globally. “Geo for All” was initially started by scientists and research active academics to build strong foundations for Open Geospatial Science . We also wanted to create openness in Geo Education for developing creative and open minds in students which is critical for building open innovation and contributes to building up Open Knowledge for the benefit of the whole society and for our future generations. We were laughed at initially by some because we did not have any initial funding when we decided to start “Geo for All” . We are grateful to all our colleagues globally for their help and efforts which enabled us to build this initiative http://www.geoforall.org/about/ . For Geo4All , we had a mission to “Make geospatial education and opportunities accessible to all” and we were very clear from the start that we will be supporting Open Principles (open standards, open data, open educational resources,open software, open access to scientific publications) for our mission to ensure sustainability and bring together universities, industry, SMEs, NGOs together on this shared vision.One of the most important lessons that i learnt from my Geo4All journey is that bringing together good people on a common mission and building a vibrant community is the biggest asset. Two week’s back , i was preparing a lecture on Open Geospatial Science for the Marie Curie MultiPos Summer School here at University of Nottingham and it helped me to reflect on how from very humble beginnings we started and without any funding (it was just an idea back then ) and it is 100 percent thanks to the vibrant geocommunity that helped make this dream a reality. Thanks to our colleagues globally, we now have dedicated research labs, dedicated journals etc in place to help advance the discipline for the future. It is this global research outlook that is fundamental to the success of any new discipline. Research projects come and go, even research centers/groups within a single university keep changing/merging etc and are transient but research disciplines and ideas will have longer impact. Hence from the start our aim was to create Open Geospatial Science as a discipline. But we had to take this one step at a time to make this possible and i want to share some of our experiences, so we can help build more ideas. 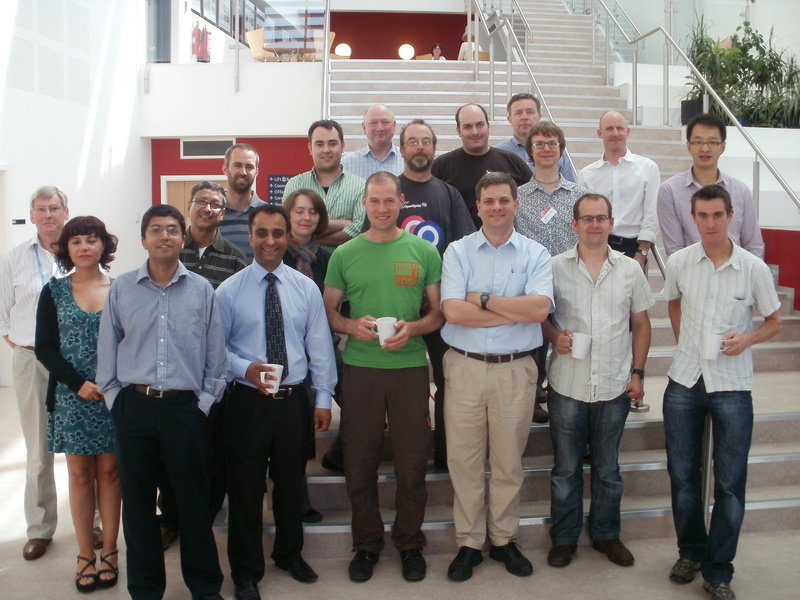 I still remember the excitement when we had our founding meeting of the first Open Source Geospatial lab in the UK (June 2010) which helped lay the seeds for foundation for “Geo for All” initiative which has now grown to over 100 research labs globally and established a new discipline of Open Geospatial Science.The sense of urgency is also very important. Though we did not have any initial funding, me and my colleagues decided that we cannot wait and we have to do whatever we can with our abilities to make geospatial education and opportunities accessible to all. We used the power of combining efforts of like minded communities (International Cartographic Association, International Society of Photogrammetery and Remote Sensing etc) to achieve this . In fact, when we decided to set up the first Open Source Geospatial Lab in the UK ( i did not have any funding that time but had big support from my colleagues across the university) to lay the foundation for “Geo for All” , i send invitations to key players in the UK to send their representatives for the founding meeting . The Association of Geographic Information , British Geological Survey, EDINA, Ordnance Survey etc all send their representatives for the founding meeting (Fig 1) at University of Nottingham in June 2010 . Having the successful Triple Helix collaborations (Government, Industry, Academia) was important. We started with a few student projects. I also signed MoUs (Fig 2) with other like minded organisations to expand our research collaborations. From the start we had a global outlook . It was also a big leap of faith as myself or any of my colleagues did not have any idea when we announced in 2011 that we will be establishing 5 dedicated Open Geospatial Research Labs globally in 5 years time . 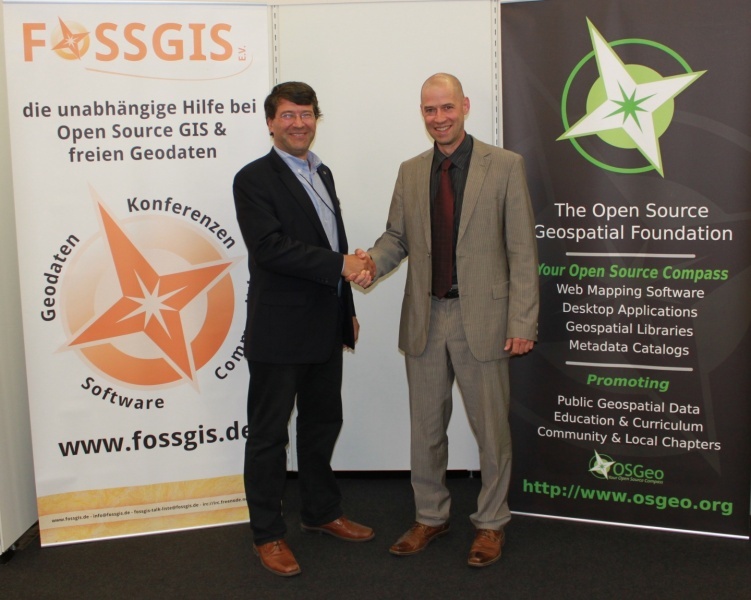 We used the power of combining efforts of like minded communities to achieve this by having a MoU (Fig 3) between the Open Source Geospatial Foundation (OSGeo) and the International Cartographic Association (ICA) with the aim of developing on a global basis collaboration opportunities for academia, industry and government organizations in open source GIS software and data. We now have over 100 research labs established over the world (USA has the largest number of research labs established countrywise but region wise Europe has the largest number of labs). Again as with the various Geo4All initiatives, we announced these without any initial funding (we just setup the frameworks) but always had key volunteers to lead the efforts and jointly apply for funding to scale up ideas and make it sustainable over the future. For example 6 months back , we decided that we had to do something to enable Urban Infrastructure Management for all cities around the world . Inspite of all the technological advancements, it is a sad fact that majority of the world’s poorest living in urban areas do not still have access to basic facilities (clean water, proper sanitation and hygiene facilities , good quality education opportunities etc). In order to achieve UN Millennium Development Goals it is essential to develop infrastructure facilities, strengthen the muncipal authorities and local city government organisations ( reduce corruption etc) in the developing world for helping improving the living standards of the people.GIS is fundamental technology in infrastructure development and high cost proprietary GIS is unaffordable to governments, town planners and local authorities in developing and economically poor countries. With the availability of free and open source GIS technologies it now offers a great opportunity for governments and municipal authorities in developing countries also to implement GIS tools for their decision making and implementation needs and help improving the lives of some of the most poorest people and by giving the geospatial tools to the municipal authorities for their decision making and implementation needs will help in improving the living standards of the people. We need to empower people and communities to make sure our future generations are fully empowered . So basically everything we do is by harnessing global efforts for finding solutions to global challenges. We believe empowering people with spatial decision making tools will result in a better society for all of humanity. The Open Source Geospatial Foundation is only 10 years old (It is thanks to the work and service of thousands of our colleagues globally that now we have a Foundation and all these active projects and communities) is good example of this. Our colleagues Sergio Acosta y Lara and others in Uruguay through gvSIG Batovi initiative have now able to teach high quality spatial technologies to students in all schools across Uruguay . Thanks to the Plan Ceibal they also have free laptops for all Primary and Secondary students in the country so they truly have the opportunity to reach every student no matter they are rich or poor with high quality teaching and learning tools. We are now working with MapStory Foundation http://mapstory.org/ to expand our spatial literacy in school level program globally. For example, “mapping the neighbourhood” exercises to help teach spatial literacy in schools globally. I think having MapStory examples of deforestation in different places might also be a good example to help teach students on effects of climate change as well as need for protecting the environment. Teaching Spatial literacy in schools is key for also helping build good global citizens. Why is Open Principles in Education and Research important? Imagine if all these 12000+ schools and 6 million students had to depend on buying software and data for their teaching and learning. This simple idea can be scaled to millions of schools globally .This empowerment of educators and students is the true essence and gift of Open Principles. Every time i visit India, i always make sure however busy i am, i visit atleast one school and talk with teachers and students. One of the most profound questions i was asked was by a student in a small school in India that i visited some years back . From speaking to the teachers i understood that many of the students at that school were from very poor backgrounds. That school didnt even have a proper library but had just started a small “computer lab” .Basically it was 3 computers connected to the internet running on Open Source Software . The students were now for the first time getting opportunity using online resources like wikipedia for thier study. The students were very excited about resources like Wikipedia and one student asked me the question “Will this be always available to us?” and i looked at her and told her that she can be fully assured that she and all students will always have access to these resources as they are fully free and open and more importantly there are thousands of amazing people worldwide who are doing selfless service by working to make these free and open tools and open data so that the doors of opportunities will always be kept open for everyone. These students have no money power or sponsorship power to make thier voice heard and we need to be thier voice .I also decided that day that i will do my best to make sure open principles in education are protected, so that students in all schools worldwide (irrespective of thier economic background) who now are seeing a small glimmer of hope will have that doors of education opportunity always open. It is also important that the voice of the voiceless are heard. My childhood and growing up in India has a big impact on my thinking . I am truly grateful that i had an amazing grandmother from whom i learned many of the most important things in life. My grandmother did not have any educational qualifications or world knowledge (she never even got opportunity to travel anywhere!) but she did have amazing common sense and compassion . I learned from her about an old Indian principle of “Vasudeva kudumbam” which means we are all part of one universal family and “Geo for All” is for my universal family. So i get incredible happiness to get the opportunity to work with colleagues from all corners of our planet and from all different backgrounds on this common journey for helping provide education and opportunities for everyone. One of the most important lessons that i learnt from my Geo4All journey is that bringing together good people on a common mission and building a vibrant community is the biggest asset. The aim of “Geo for All” is to develop on a global basis collaboration opportunities for academia, industry and government organisations for enabling open education opportunities for all by empowering academics , universities, school teachers worldwide by using Open Principles in Geo Education . 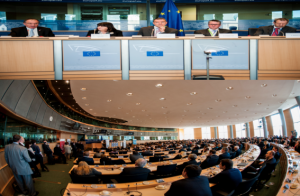 I had the opportunity to participate in the “EU Science: Global Challenges, Global Collaboration” meetings at the European Parliament in Brussels (March 4th-8th,2013). This high level meetings brought together top scientists across the planet , ministers , MEPs, senior policymakers and industry leaders with the aim to encourage worldwide collaboration in science, to explore how Horizon 2020 can enable an effective scientific response to global challenges, and to provide an environment to build new partnerships with a view to increasing international participation in Horizon 2020. For me it was also an excellent opportunity to interact with policy makers and top scientists from all disciplines and share Open science ideas and explore new opportunities for future research collaborations. Having direct inputs to national policy and Intergovernmental agreements are good way to expand “Geo for All” ideas and Open Geospatial Science . For example, we have done this with other countries like Australia following the 3rd EU – Australia Research Infrastructure meetings that i attended in Canberra in Nov 2013 . In the area of sustainable cities, we have agreement to establish Open Source Geoscience Sustainable Cities Lab at the University of Melbourne with linked laboratories across Australia and New Zealand, under the ICA-OSGeo Initiative (jointly by INSPIRE, AURIN, ICA-OSGeo). I had the opportunity of participating in the NSDI conference and meetings in Brasilia, Brazil in May 2014 and I would like to thank the Ministry of Planning, Government of Brazil for organising this excellent event and also for their kind invitation for keynote presentation where i shared the developments in Open Geospatial Science and its importance for widening education opportunities, new jobs creation and innovation ecosystems in Geoservices. 1. There are fast paced developments happening in Geospatial domain and it is important the countries should keep updating their Geoinformation policies to reflect this and take advantage of the new opportunities. I am pleased to see countries like Brazil are well tuned to global developments. 2. It is important to have inputs from the academic community and i was pleased to see this bringing together of key people from government and academia to discuss ideas and good practices. 3. Education and Capacity building is key for expanding opportunities. The pace of growth has been much beyond our dreams and with more applications for establishing research labs from universities across the world, we are in target to establish over 1000 research labs in the next three years globally. This is the biggest growth area in our Geospatial Science discipline and will have direct benefit of millions of students across the world. Each of these research labs will keep expanding over the years with more staff and students . Through our new initiative of Geo4All Schools we aim to use geotechnologies as a usecase to advance STEM interest in Schools through Open Principles so that students develop creative minds and develop to be future thought leaders and creative thinkers to help solve global challenges (not just teach them to be mere users). The bigger aim is to also to advance STEM education across the world and bring together schools, teachers and students across the world in joint projects and help building international understanding and global peace. The Geospatial IG of the Research Data Alliance and the Nottingham Geospatial Institute are pleased to welcome expression of interest for the Urban BigGeoData and OpenCitySmart Think Tank meeting and workshop at the University of Nottingham. 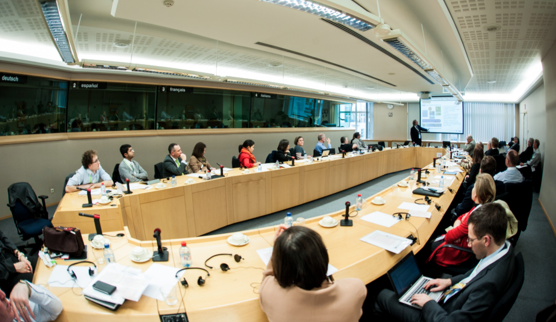 This will be a free event (limited to 30 delegates) aimed to bring together key stakeholders in GeoBigData and OpenCitySmart research to brainstorm ideas and plan joint research ideas and collaborations for the future.